Which is the greater feeling? To love? Or to be loved? To receive a gift or to have the joy of giving? At the heart of all my training is a deep rooted love for the horse. Unconditional love, love that doesn’t depend on reciprocation or performance isn’t always freely accessed. The ability to love requires nurturing. It’s almost like love is a fragile fluttering bird that we release. If we attempt to hold on to even the tiniest part, we risk destroying its ability to fly. When we whole heartedly give flight to the joy of freeing our love, we are truly giving, unconditionally. The tiniest holding of breath, tension or loss of grounding detrimentally influences our balance and therefore our feel. Feeling IS emotion. It is my belief that when we talk about using feel in horse training we are talking about our emotional state, from which all balance, physical, mental, spiritual is derived. Last year I took an eight week course in Mindfulness. One of the many very useful lessons was about non judgement. Not only towards others, but towards ourselves. It got me thinking about how this sits within my role as a horse (and human) trainer. Letting go of our attachment to results is fundamental to the spirit of positive training. Being able to approach a training session with the curiosity of a child, to allow our horses the freedom to offer behaviour, to try things out, to view nothing as a mistake, is very liberating… Both for us, and the horse. I often tell my clients to view training as an experiment, to be curious about what the results might be, to observe and accept, to be open to the learning. I believe that learning to train this way is not only enriching for our animals, it is highly enriching, even life changing, for us as individuals. Even if you only work this way as a portion of the interactions that you share with your horse, I would love you to give it a go. Be free of judgement. Be curious and open to learning. Remain soft and relaxed, ready to receive whatever your horse might offer. You might surprise yourself! Caffrey used to avoid all contact with people, but target training really helped him learn to trust and want to engage. Would you like your horse to be motivated to go? To be willing and eager to respond to your aids? Yet with calmness and to be patient when required? Would you like training to be fun, not work? Targeting is a tool that no horse person should be without. Traditional artificial aids include the whip and spurs. These rely on the horse’s motivation to move away from things and avoid discomfort. The target is also an artificial aid or tool. Targeting is trained using reward based methods and relies on the horse’s motivation to seek out a pleasant experience. Targeting creates positive enthusiasm and effort in even the most ‘lazy’ of horses, while at the same time calming the fearful horse. 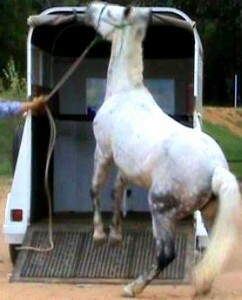 The target as a tool can be used to teach anything you wish, from lateral work to trailer loading. 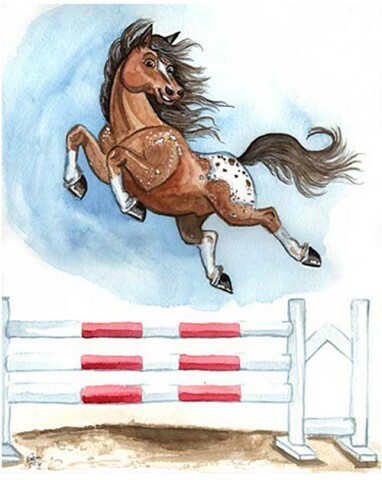 It has been used perhaps most famously by Shawna Karrasch and Beezie Madden (Olympic medal winning showjumper for the USA) to work with showjumpers. 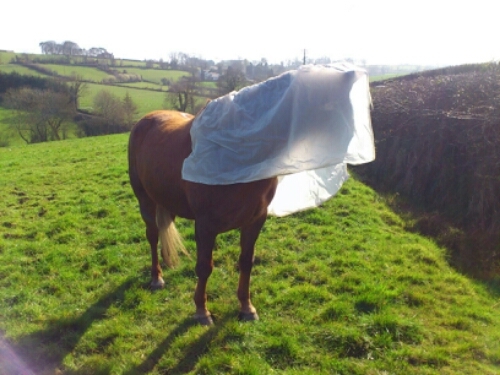 I use it routinely when dealing with behaviour problems and when starting young horses. 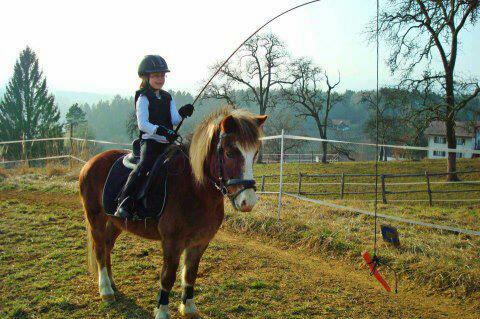 It’s also a great way to introduce fun and games into your horse’s life. In this one day introduction to targeting, we will look at the theory behind why the target works. We will do practical exercises to help us understand it’s applications. We will learn how to introduce the horse to the target for the first time and how to build on this introduction. Then we will discuss moving forwards and how each of you might be able to usefully integrate the target into your training. The course runs from 10.30am to 4pm. Cost for the day is £25 per person. There are four horse places available, at a cost of £10 per horse. Places are limited so book soon to avoid disappointment! Course is near Glenavy, Northern Ireland, on Saturday 25th June 2016. No, we won't be doing this....! The course runs from 10.30am to 4pm. Cost for the day is £25 per person. There are four horse places available, at a cost of £10 per horse. Places are limited so book soon to avoid disappointment! Course is near Desertmartin, Northern Ireland, on Saturday 18th June 2016. My focus when I train has always been on the emotional wellbeing of the horse. I call it Horse Sense because to me that’s what it is… Sense as in sensible, but also to sense as in to feel. I’m all about building good relationships between horses and their people. When I work with baby horses or abused horses, I always say that my first job is to help them fall in love with me, my second job is to show them that they can fall in love with the human race. Jarlath in the photo is a good case in point (Thank you Joanne Gray for the beautiful pictures and film you took that day). When I met him he was depressed, withdrawn, disinterested, unaffectionate. With just a minimal amount of training, he became engaged with the world once more, not just with me, but with anyone who cared to spend time with him. I’ve been training horses with the clicker for 17 years now, and teaching clients how to use it for 13 years. It’s not the only tool I use, but it is a significant part of my work. I’d say the question I’ve been asked most often in that time is “Is this love? Is it not just all about the food?”. Firstly, I don’t always use food, so sometimes it’s scratches rather than food. Scratches seem to be easier for people to get their heads around. Mutual grooming is an important part of the bonding process between horses, so it makes sense that if we spend time scratching and grooming our horses they will change how they feel about us. If we utilise those same scratches as part of a training process, then surely we are also working on building relationship and trust as well as teaching skills? Why should food be any different? In my experience, particularly when working with abused or young, naive horses, food is a valuable ‘way in’ to starting off that bonding process. I would certainly say that over reliance on food can lead to it being “all about the food” at the expense of the bond, but used with sensitivity and care, food can be an invaluable training tool and a vital part of relationship building. When we use scratches and food, we increase parasympathetic tone, reducing sympathetic arousal (the fight or flight response), reducing adrenaline and cortisol levels and increasing oxytocin levels. By fostering ‘feel good’ emotions, we change how our horse feels when they spend time with us. And after all, that’s what a relationship is all about. The seat is the foundation of good riding. 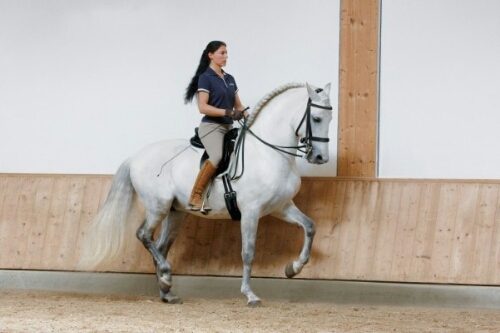 It’s amazing how the smallest of adjustments to posture and position can make an enormous difference to the balance and way of going of the horse. In this series of three lessons you will learn the basics of how to find a good classical seat. You may have no interest in dressage at all, but the classical seat isn’t just about dressage, it is about providing a balanced base for all types of riding, whether you are a happy hacker, showjumper or Olympic athlete! 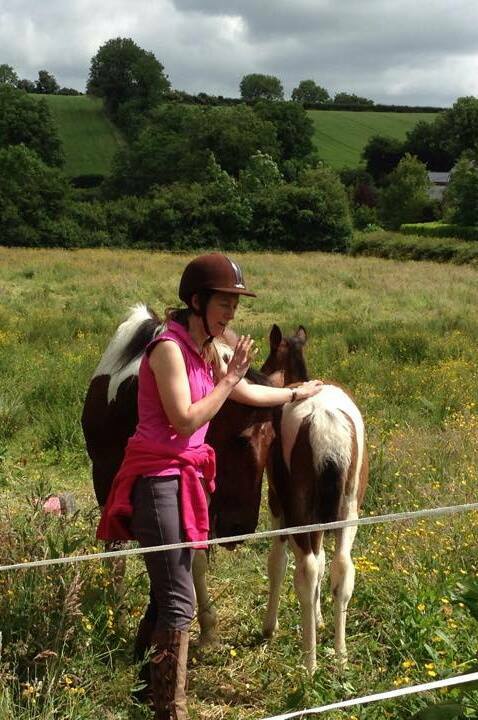 Lessons are at Free Spirit Equestrian, Bessbrook, on Tuesday 12th, 19th and 26th January at 7pm. Places are limited and will be allocated on a first come first served basis. Cost is £45 for the course of three lessons. Please contact Helen on 07773 157428 or email info@helenspencehorsesense.co.uk for more information and to make a booking. Horse hire is available at additional cost, please speak to Helen/ Lorraine for more information. I’ve been called a bit of a rare breed in my time. Funnily enough, the person who said that was English and unaware of the use of the term ‘rare’ in Northern Ireland to imply anything other than ‘unusual’. She went on to explain that, in her line of work (working in a large and well known animal welfare organisation) she came across many horse trainers but very few that had relevant academic qualifications. She also came across academics, but very few that had substantial practical horse training experience. She suggested that I was bridging a gap in the horse world, given that, as well as a psychology degree, I also have a behaviour/ welfare based PhD (my research was on ‘The Influence of Owner Personality and Attitude on the Behaviour and Temperament of the Domestic Horse’ and involved me doing behaviour assessments on over seventy horses and questionnaire surveys on a couple of hundred more and their owners!) yet I had followed this, not with the usual academic path, but by going back to my original love, which was working in the horse industry. That comment was made maybe seven years ago. 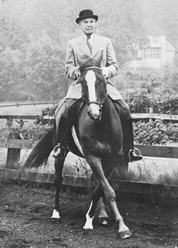 By that stage I’d already been in business doing horse behaviour consultations, training horses, teaching classical riding and lecturing on horse behaviour for a number of years. 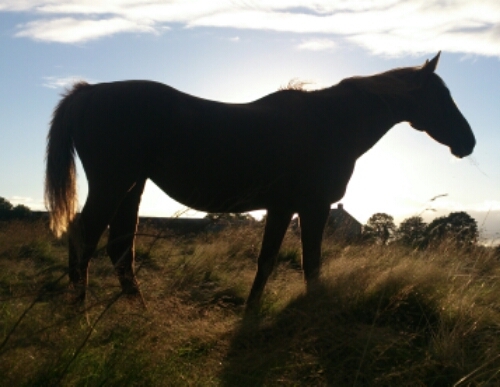 I began my business in 2003, and at the time I was one of only a handful of behaviour consultants specialising in equine referrals in the whole of the UK. I was also one of the first to look at alternative, more horse (and welfare) friendly ways of training using techniques based on a sound understanding of learning theory and the psychology of training, along with a firm base in horse ethology (or the scientific study of natural horse behaviour). That was over twelve years ago, and at the time I was told I was crazy to even contemplate setting up a business doing that kind of work. 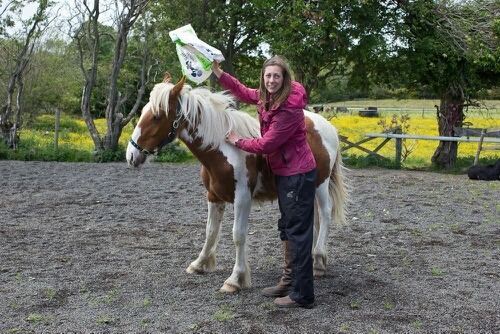 Here I am now, and I’ve lectured on a series of postgraduate courses in clinical animal behaviour, I lecture on horse behaviour to the vets at Liverpool University on an annual basis, I’ve travelled all over the UK and Ireland and as far afield as Finland to teach workshops on practical horse behaviour, training and problem solving. I’ve been invited to speak at conferences from the first UK Equine Clicker Conference to the BVNA congress and I’ve delivered CPD on horse behaviour for the Association of Pet Behaviour Counsellors. 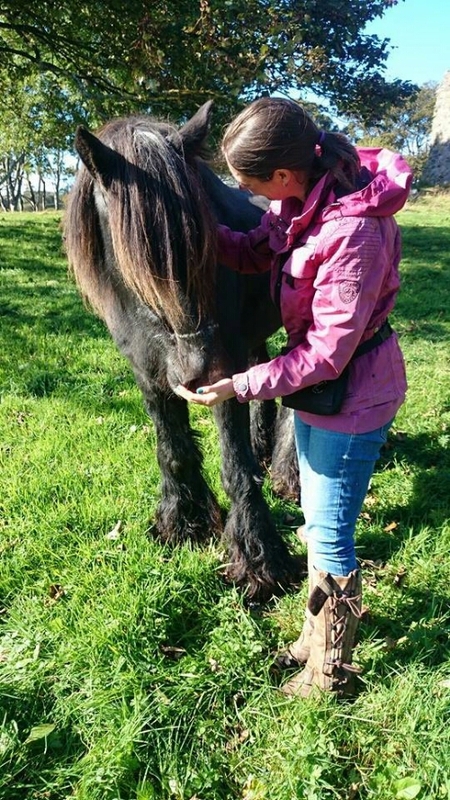 Most importantly, I’ve worked with a wide range of behaviour problems, from severely abused rescue horses right through to the most pampered of ponies, dealing with issues from serious aggression to spookiness and everything in between. I’ve been involved with everyone from happy hackers to Olympic level competitors. I’ve met great owners along the way, all really motivated to get to the bottom of what’s going on with their horses and reach a better understanding, all willing to make the necessary changes and learn the skills they need in order to improve the relationship they share. Over more recent years, I’ve spent a lot of time travelling to work in England, while still maintaining a small but loyal client base here in Northern Ireland. I’ve chosen to focus more on training and problem prevention, particularly in working with young horses. This is still something I’m passionate about, since I believe that prevention is always better than cure, however now I’ve decided to turn my focus back to doing behaviour consultations here in Northern Ireland. I’d just like to take this opportunity to highlight the work I do and explain the benefits of consulting an experienced professional about your horse’s problem behaviour. Firstly, all methods employed by those that work with behaviour problems are not equal. They may work, but just because they work, that doesn’t make them right. For example, we used to send children up chimneys to sweep them. It worked a treat, but the fact that it worked doesn’t make it right. Nowadays we know better. The horse world is experiencing what we call a paradigm shift. This is a shift in attitude towards the types of techniques and equipment that are considered morally acceptable. In my work I teach people how to read and understand the emotional state of their horse, and how to recognise the impact that various training techniques and equipment can have on their mental and physical wellbeing. 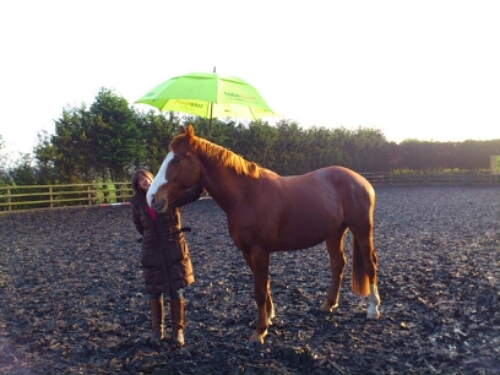 I help people improve their ‘feel’, emotional and physical balance and ability to tune in to their horse. I explain how the management regimes that they follow also affect the horses stress levels, and how this then has an impact on performance. I discuss safety and how training techniques and tools can increase/ decrease the risk of injury. Secondly, you may not actually consider that you have a behaviour problem at all. After all, problems are only problems in the eye of the beholder. What is a major issue to one owner is nothing to another.You may be experiencing a major issue with your horse, you may even be contemplating selling or giving away your equine partner. Or perhaps you have a very minor change that you’d like to make, maybe training your horse to stand at the mounting block or be more relaxed for the vet or farrier. It may be that you don’t actually consider you have a problem at all, but you do feel that there is room for improvement in your horse’s behaviour/ training. 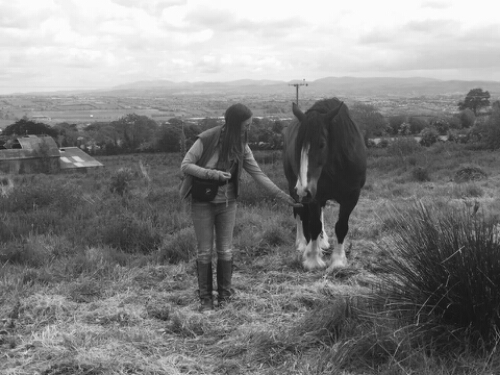 Perhaps you’d like me to come out and do a general assessment, a kind of Behavioural Health Check and give you some pointers that you can work on, to help you and your horse have your perfect relationship. If you feel any of this may be of interest to you, please do give me a call, with no obligation to book, in order to discuss your options. I am also offering a limited number of ‘meet the behaviourist’ opportunities for riding clubs/ yards to book me free of charge for an evening to come and talk about my work, look at some of my case studies, videos etc, hear my anecdotes and ask questions. These will be booked on a first come first served basis so please contact me if you would like to explore this option. Ring Dr Helen Spence on 07773 157428 or email info@helenspencehorsesense.co.uk to discuss. Behaviour consultations must be booked by telephone, not by email, although I’m happy to receive email enquiries, these may not always be promptly responded to due to the level of my work commitments. Thank you for taking the time to read this and I look forward to hearing from you/ meeting you! Training demos at Free Spirit Equestrian Centre, 41 Maytown Road, Bessbrook (near Newry, Co. Down, Northern Ireland) on Wednesday 1st, 8th and 15th July 2015, 8.30-9.30pm. Learn how to use reward based training to help your horse find jumping fun. Equine Behaviourist and trainer Dr Helen Spence will explain the science and psychology that help us understand why horses might refuse, run out, rush fences or stand off, and in turn, how we can use that understanding to help develop ‘The Happy Athlete’, a horse that truly enjoys jumping, that is calm, balanced and willing. The demos will focus on how to teach loose jumping in order to develop the horse’s confidence, but with an explanation of how to tailor the approach to suit the individual and how to move forwards to jumping with a rider and jumping courses. The demos will utilise the use of targets for teaching jumping, popularised by dolphin trainer turned horse trainer Shawna Karrasch, and utilised by showjumper and Olympic gold medallist Beezie Madden. Most famously, Beezie used Shawna’s methods to teach Judgement to jump water to enable his return to top level competition. Cost for attending ‘Jumping for Joy’ £10 per session at the door or £25 for all three booked in advance. If attending alongside the Lovely Loading (7.30-8.30pm), Caffrey training demo (7-7.30pm) and Q and A session (9.30-10pm) the cost for the whole evening is £20 on the door or £45 if all three full evenings are booked in advance. For advance booking please contact Helen Spence on 07773 157428 or info@helenspencehorsesense.co.uk. Training demos at Free Spirit Equestrian Centre, 41 Maytown Road, Bessbrook (near Newry, Co. Down, Northern Ireland) on Wednesdays 1st, 8th and 15th July, 7.30-8.30pm. Would you love to have a horse that you could just walk straight to the box and they would load themselves? There’s nothing worse than that feeling of dread when you’re going to a competition and you don’t even know if you’ll get there. Or perhaps you can get there but not home again? Dr Helen Spence, Equine Behaviourist and trainer will explain the most common causes of loading problems and how best to deal with them. The training demos will show you how to use reward based training methods to help your horse learn to enjoy loading and travelling. These methods are appropriate for horses that have never travelled before, and for those that have developed issues. As a behaviourist, Helen will emphasise the importance of vet checks and getting to the root of the problem. Cost for attending ‘Lovely Loading’ £10 per session at the door or £25 for all three booked in advance. If attending alongside the Jump for Joy (8.30-9.30pm), Caffrey training demo (7-7.30pm) and Q and A session (9.30-10pm) the cost for the whole evening is £20 on the door or £45 if all three full evenings are booked in advance. For advance booking please contact Helen Spence on 07773 157428 or info@helenspencehorsesense.co.uk. Would you like to learn more about reward based training and how you can make really practical use of it with your horse? 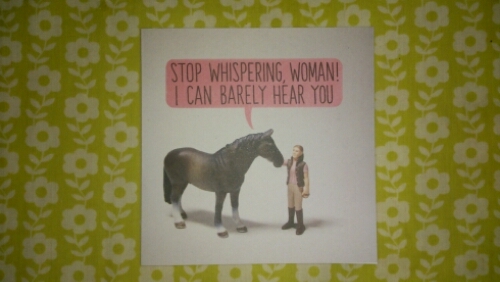 Perhaps you want to improve your relationship with your horse. Or maybe you are more interested in improving performance? This approach to horse training has the benefit of achieving both these goals! 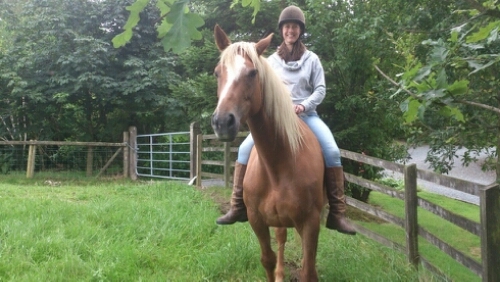 On Wednesdays 1st, 8th and 15th of July Dr Helen Spence will be demonstrating how to build confidence with the rescued/ abused horse (7-7.30pm), how to teach your horse to load and travel happily (7.30-8.30pm) and how to develop confidence and balance jumping (8.30-9.30pm) followed by a Q and A session (9.30-10pm). You can pick and choose what you’d like to attend. Cost for attending either ‘Jumping for Joy’ or ‘Lovely Loading’ £10 per session at the door or £25 for all three booked in advance. If attending for the whole evening: Caffrey training demo (7-7.30pm), Lovely Loading 7.30-8.30pm, ‘Jump for Joy’ 8.30-9.30pm and Q and A session (9.30-10pm) the cost for the whole evening is £20 on the door or £45 if all three full evenings are booked in advance. If you just want to watch the demo with Caffrey or the Q and A session then cost is £5 per session on the door or £10 in advance for all three. For advance booking please contact Helen Spence on 07773 157428 or info@helenspencehorsesense.co.uk.